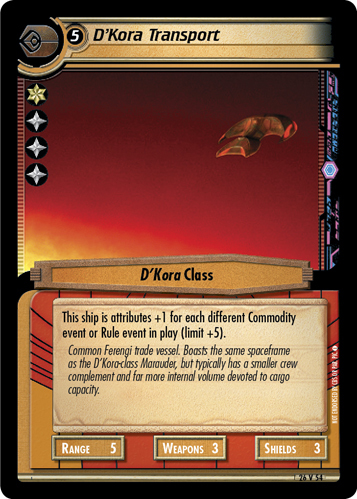 This ship is attributes +1 for each different Commodity event or Rule event in play (limit +5). Common Ferengi trade vessel. 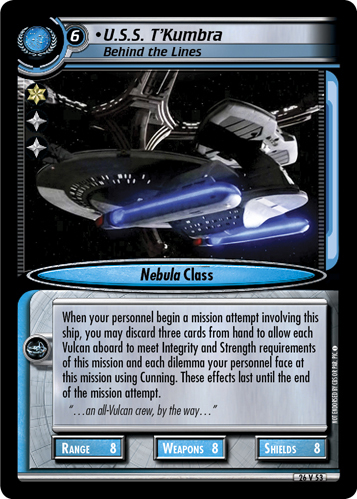 Boasts the same spaceframe as the D’Kora-class Marauder, but typically has a smaller crew complement and far more internal volume devoted to cargo capacity.